If you're reading this, then I have already gone to meet my wonderful mom, dad, and sister Lois and many more of my loved ones residing in Heaven. The hard part for me is having to leave behind my dearest kids; son Steve, daughter Lori, and sister Joyce. Husband Ian will follow me someday. He's in a different realm at the moment. I'm also leaving behind 3 grandchildren, 3 great grandchildren, several nieces, nephews, in-laws and cousins, some very special to me. Animals and laughter have always held a special place in my heart. I know Emily Lou & Oscar too will miss me, their Mommy, and I pray they find good homes very soon. At my request, there will be no viewing or funeral. I have already been cremated. Arrangements are under the care and direction of A H Brown Funeral Home, 5 McFarlane Street, Springhill, (902-597-2361). A graveside service will take place at a later date. Any donations in my memory may be made to the LA Animal Shelter. "Look for me in the people I have known and loved. . . When all that is left of me is love, give me away!" 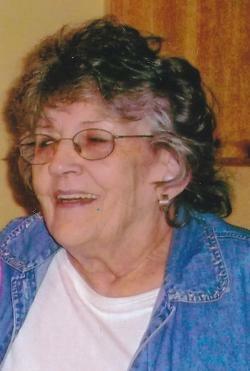 Sharing of memories and condolences may be sent to the family by visiting Marilyn's online memorial at www.brownsfuneralhome.com or through the A H Brown Funeral Home Facebook Page.